The Batam Economic Forum was held at the Radisson Hotel, Batam Centre on February 27, 2018 and was jointly hosted by BP Batam and Indonesia Economic Forum. It was the first economic conference to be held in Batam to discuss the future of Batam and Kepulauan Riau (Kepri). The forum was attended by more than 300 senior government officers, business leaders, investors from Indonesia, Singapore, China and Australia. The forum focused on how Batam can revive its economy and become an engine of growth in industries such as logistics, digital industries, hi tech manufacturing and tourism. Among the speakers were Bapak Lukita Dinarsyah Tuwo, Chairman of BP Bata; Bapak Ilham Habibie, Founder of Berkara Indonesia and Chairman Wantiknas; Bapak Wang LiPing, Economic Councellor, Embassy of the Republic of China; Kris Wiluan, Founder of CitraMas Group; SD Darmono, Founder and Chairman of PT Jababeka; Fadjar Hutomo, Deputy Chairman, Financial Access BeKraf; HR Amos; Chairman HRA Group; Dr Francis Hutchinson, ISEAS Yusof Ishak Institute; Gusti Raizal Eka Putra, Regional Head Bank Indonesia; Dadan Kurniadipura, President Director Bright PLN Batam. Batam occupies a strategic position both economically and geographically within Indonesia and the region. It is located just 40km from Singapore and on the southern side of the Straits of Malacca, the second busiest waterway in the world through which almost half of the world’s total annual seaborne trade and some 60,000 vessels pass. As Asia’s share of the global economy continues to grow, the Straits of Malacca will grow in importance. It is estimated that more than 100 million TEUs (twenty-foot equivalent containers) will pass through the Straits of Malacca by 2040, with Singapore accounting for about 50 million. The rest can be handled by Port Klang in Malaysia and Batam. Both Singapore and Malaysia are investing billions of dollars to expand and improve their ports to cater to the expected growth in trade through the Straits of Malacca. Batam too has an opportunity to take advantage of this growth and become a major seaport servicing up to 20 million TEUs over the next 40 years. It will need to continue to invest in upgrading its current port at Batu Ampar into a deep-water container facility. Currently Batu Ampar can handle 600,000 TEUs. Batam could also become a regional logistics hub given its strategic location, abundant available land, strong infrastructure development and the proximity of Hang Nadim airport and Batu Ampar Seaport. Batam has done well over the past 30 years by focusing on the oil and gas sector, electronic manufacturing, shipyards and tourism. While it must continue to maintain these sectors, Batam must also focus on new growth sectors which are ICT driven and dependent on human talent. To encourage investors to build these new industries, Batam must have adequate infrastructure consisting of highspeed internet connectivity across the island, good public transportation, high-quality hospitals and medical services and research-based universities with strong links to local industries, incubators and technology parks. 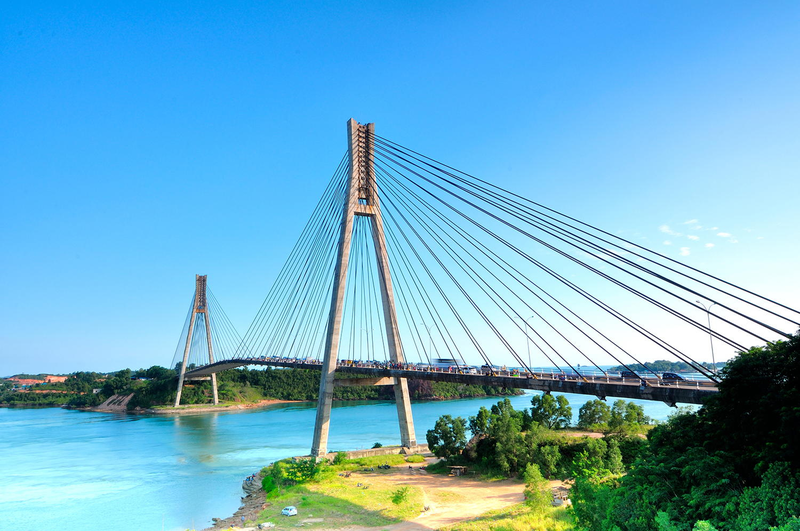 Kepri with Batam at the center also has the potential to become the “Caribbean of West Indonesia” by linking all the islands by bridge and seaplane. Kepri has some 3,000 islands offering tourists some of the best diving and nautical activities in the world. To achieve these objectives, Batam must link its economy more closely with Singapore, not just in manufacturing, but also finance, education, ICT, legal, property and tourism. Batam can also become a source of fresh food for Singapore given that Singapore has limited land and an expanding population. It will require new sources of fresh food and vegetables, and Batam can in fact become the hinterland for Singapore. The concept of re-introducing maximum autonomy for Batam must be seriously taken into account. Batam has great potential to grow into a major hub for not just Indonesia but the whole region. It has a strategic geographical location, ample land and resources, a large talent pool and an existing strong economy. But in the past few years many investors and business owners have been concerned about the dualism of authority between BP Batam and the local government. This has caused some factories to close and the loss of jobs. This issue can be resolved legally under the Constitution and in the interest of the people of Batam, the island must be declared a special autonomous region with the authority to manage all aspects of the city and the island resting with one institution. This has legal standing and precedence and is crucial for the future of Batam as an economic and logistics hub. Batam must be organised and managed for the good of the nation and not for any particular group. It is too important and critical for the future of Indonesia. The forum was closed by Prof. Dr Sri Adiningsih, Chairperson, Advisory Council to the President, Bapak Sidarta Danusubroto, M Gen (Ret), Member of the Presidential Advisory Council Republic of Indonesia and BapakLukita Dinarsyah Tuwo.